Professor George A. Zentmyer passed away on February 8, 2003, at the age of 89. George was born on August 9, 1913 in North Platte, Nebraska. His interest in plant pathology was stimulated in high school after a forest pathologist explained the impact that diseases caused on trees. In 1935, he received a BA with honors in botany and an MS in 1936 at the University of California, Los Angeles and in 1938 a PhD in plant pathology from the University of California, Berkeley. After joining the University of California, Riverside, George confirmed that the cause of the widespread “decline” disease of avocado trees was due to root rot caused by the water mold Phytophthora cinnamomi. His search for exotic plant specimens of the avocado, Persea americana, which might have resistance to P.cinnamomi began by determining the known genetic diversity of the genus Persea as recorded in several national and international herbaria. From 1946 to 1993, he collected plant specimens of Persea americana and related species from their native habitats in Mexico, Central America, and South America. From some 3,000 plant collections that were imported to his laboratory and tested for resistance to P.cinnamomi, the Duke 7 and G6, as well as several other root stocks were shown to be moderately resistant to P.cinnamomi and are now widely used for commercial production of avocados. The introduction of those resistant root stocks is often credited with saving the avocado industry not only in California but in other areas in the U.S.A. and the world. George received an award of honor from the California Avocado Society in 1954 and in 1981, for his contributions to the avocado industry. In collaboration with postdoctoral associates and students, George made many fundamental discoveries in his studies on the biology of P.cinnamomi. He noted that zoospores of P.cinnamomi were attracted to the zone of elongation of roots (chemotaxis) and that the germ tubes produced by encysted zoospores were oriented to grow toward this area of the roots (chemotropism). These phenomena were shown to be due to the exudation of certain amino acids, particularly glutamic and aspartic acids, from roots. He found that certain bacteria in non-sterile soil extract stimulated the production of sporania by P.cinnamomi. He was the first to find that oospores could be stimulated to form when P.cinnamomi isolates from avocado (A2) were crossed with those from camellia (A1). This established the concept of heterothallism in P.cinnamomi. P.cinnamomi from avocado also produced oospores in root extracts from avocado trees (homothallism). He and colleagues found that the active oosporestimulating factor in root extract was oleic acid. He determined that P.cinnamomi exhibited more saprophytic ability in soil than most other species of Phytophthora which helped to explain its persistence as an introduced pathogen and its wide dissemination in contaminated plants. His pioneer research on biological control of Phytophthora root rot of avocado showed that addition of alfalfa meal to soil reduced the severity of root disease. This was due to an increase in the microbial population in soil, by saponins in the alfalfa meal and to the production of ammonia during the decomposition process. One of his students determined the relationship of oxygen and carbon dioxide to reproduction of P.cinnamomi and another student quantitated the precise soil moisture factors that favored root rot of avocado. He and a visiting scientist showed the values of acrylamide gel electrophoresis as an aid in the taxonomy of several Phytophthora species. Many other items could be cited. In the 1960s, George, in collaboration with scientists in Great Britain, Africa, and South America conducted cooperative research on the black pod disease of cacao, the source of chocolate. The cause of black pod of cacao was determined to be not only due to P.palmivora but also to P.megakarya, P.capsici, and P.citrophthora. At the International Cocoa Research Conference (Ghana, 1969) he was appointed with Dr. P.H. Gregory (UK) and Dr. R. Costa (France) to direct research on Phytophtora palmivora. He was consultant to the Trust Territory of the Pacific Islands University of Cordoba, Spain, Commonwealth of Australia Forest and Timber Bureau, AID-Ghana, to the governments of Nigeria, South Africa, Israel, Commonwealth of Australia, Ministry of Agriculture, Spain, and Costa Rica. George has been invited to lecture in many universities in the United States as well as in Australia, Brazil, Germany, Ghana, Great Britain, Japan and New Zealand. Eighteen visiting scientists from many areas of the world have conducted research in his laboratory. In 1980, George published the American Phytopathological Society Monograph No. 10, “Phytophthora cinnamomi and the Diseases it Causes.” which is a classic source of information with both fundamental and practical value. In 1981, he was invited to present the principal address at the world symposium, “Phytophthora its Biology, Taxonomy, Ecology and Pathology,” which was convened at UC Riverside and dedicated to him to commemorate his retirement. George served on advisory committees of the National Research Council (Washington, DC) from 1957 to 1976. His research was supported by grants from the Avocado Society of California throughout his career and by the National Science Foundation from 1963 to 1979. He contributed frequently to the monthly newsletter of the California Avocado Society and was editor of the newsletter for several years after his retirement. George served on many committees of The American Phytopathological Society (APS) and as Secretary (1959-63), Vice President (1964), President elect (1965), and President (1966) and in 1981, received the Award of Distinction. In 1991, he received the Lifetime Achievement Award from the Pacific Division of APS. He was president of the National Association for the Advancement of Science – Pacific Division, 1974—75, recipient of NATO senior fellowships in 1971 and 1972, and in 1985, a Bellagio Rockefeller Scholar award. In 1979, he was elected to the prestigious National Academy of Science. George taught a course on advanced plant pathology and supervised 15 students in the PhD graduate program as well as several post doctoral and visiting scientists. 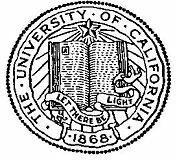 Numerous administrative responsibilities at the University of California, Riverside included, among others, member and chair of the Academic Senate Committee on Graduate Affairs, member of the Budget Committee for Personnel Relations, and the Academic Council. In 1963, he was selected as the All University of California Lecturer for the year, in 1964 as the UC Riverside Faculty Lecturer, and in 1964 as All University Lecturer at the University of California, San Francisco. He was chairman of the Department of Plant Pathology (1968 -- 1973). An active supporter of community activities, George served on the Board of Directors of the UC Riverside Botanical Gardens for several years and as president in 1988-89. He participated in the organizational support of the Riverside Hospice, YMCA, UCR Museum of Photography, Town and Gown Organization, Plymouth Tower Retirement Home, Riverside County Philharmonic Fund Raising Campaign, and the First Congregational Church. He sang in the John T. Hamilton Chorale (1987-91). A quiet soft-spoken person, George had a droll sense of humor, always friendly toward students, staff, colleagues and growers. He was an avid sports enthusiast, a participant up until the last few years of his life and an ardent fan of UCLA athletics He was an outstanding competitor in handball, racquetball and tennis. He is survived by his wife of 61 years Dorothy, and three daughters, Elizabeth Doss, Jane Fernald, and Susan Zentmyer. He will be missed not only by his family but by all of his associates and friends in the university, the scientific community and in the agricultural industry.